Providing unrivalled traffic management solutions nationwide, Gary Keville Traffic Management Ltd. (GKTM), have operated at the forefront of the industry for more than a decade, working on countless major infrastructure and transport projects. We touched base with Shane Keville to find out more about this exceptional, market-leading family operation. Like its parent company - Gary Keville Transport Ltd. – GKTM Ltd. is synonymous with the prompt and professional delivery of top-class, innovative solutions tailored to clients’ precise requirements. 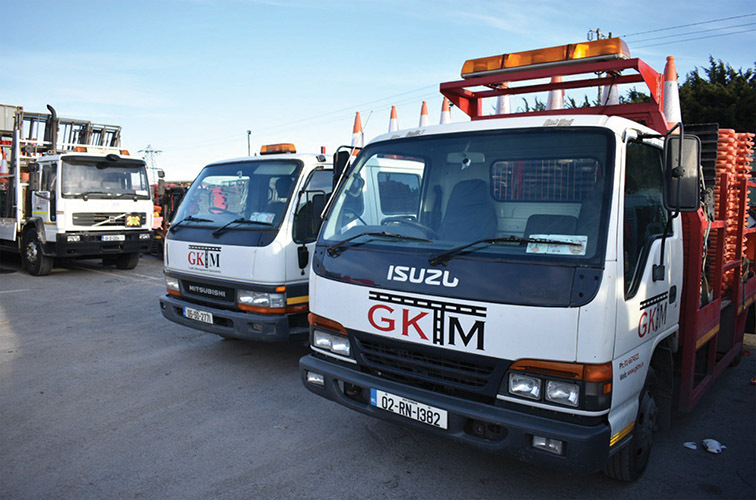 While the former is a long-established haulage operator, renowned as a specialist in the heavy and abnormal loads sector, GKTM have developed into Ireland’s premier traffic management specialists, offering the highest levels of traffic-related services. GKTM combine experience with vision to achieve maximum satisfaction, allowing them to offer a full service in traffic control ranging from site surveys, specific temporary traffic management plans, vastly experienced crews to traffic management equipment hire. The range of services provided includes Design & Consultancy, Implementation of Temporary Traffic Management Systems, Hire of Temporary Traffic Light Systems, Temporary Steel Barrier Systems, Motorway Maintenance and Event Traffic Management. GKTM’s impressive client list reads like a Who's Who of main contractors, developers, public transport providers, resurfacing companies, civil engineering firms and local authorities nationwide. Clients can rest assured that they are getting the best product for the price, taking into consideration usability, quality and performance. Furthermore, GKTM have the capacity to assist clients in reducing workplace accidents through effective training, ensuring they are compliant with all prevailing Health & Safety legislation. As an industry leader in traffic management and control, Gary Keville Traffic Management Ltd. is the first port of call for clients who want their projects - large or small – delivered to consistently safe and high-quality standards. Over the past couple of years, since Irish Trucker last paid a visit to GKTM, the company has continued to go from strength to strength. “We’re going strong and there’s constant demand for our services,” Shane Keville confirms. Shane runs GKTM, while his father Gary oversees the original business, Gary Keville Transport Ltd., which provides abnormal load haulage and self-loading / offloading solutions across all industries (power plant, wind energy, construction, civil engineering, industrial, oil & gas, etc.) throughout Ireland. A vast specialist fleet of heavy haulage vehicles coupled with the traffic management expertise of sister company GKTM means clients are offered a complete one-stop-shop solution. 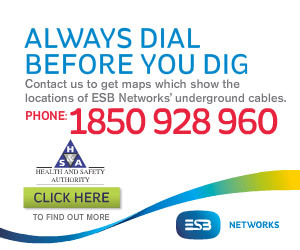 At the time of writing, GKTM were active on ESB sites in Limerick as well as providing traffic management solutions in Dublin to Energoinvest ReachActive. “We’ve doubled our equipment over the past two years and we are constantly expanding our pool of equipment, including the addition of 300 metres of Massguard Barrier, to make sure we have as much as we possibly can,” Shane notes. Meanwhile, Gary Keville Transport Ltd. runs a mixed fleet of twelve articulated HGVs, some of which host up to 150 tonne metre hiab cranes (Scania and DAF) as well as an assortment of up to 30 specialist trailers. The company has diversified into manufacturing and selling converted shipping containers and is now the frontrunner in Ireland for providing bespoke converted shipping containers for use as modular buildings such as bars, coffee shops, classrooms, training rooms, clubhouses, sales rooms, offices, coffee shops, portable cabins for building sites, etc. As agents for Containex, Gary Keville Transport Ltd. can deliver and install a wide range of cost-effective, high-quality modular containers and mobile space solutions. Each company is an outstanding success story in its own right. Together, Gary Keville Transport Ltd. and GKTM Ltd. are simply unbeatable!